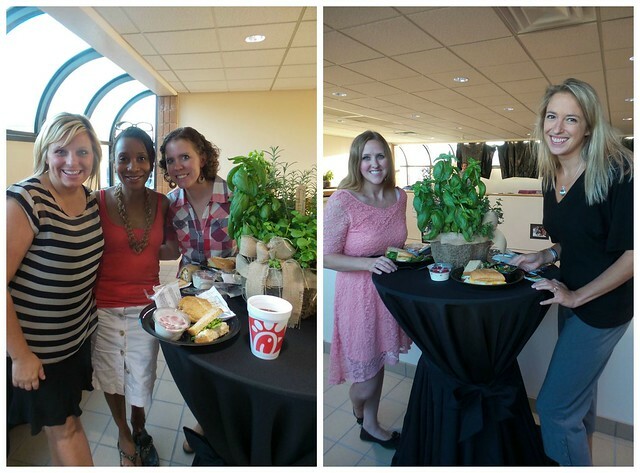 I was recently given the incredible opportunity to be a part of the Chick-fil-A of Pittsburgh Mom Ambassador panel! 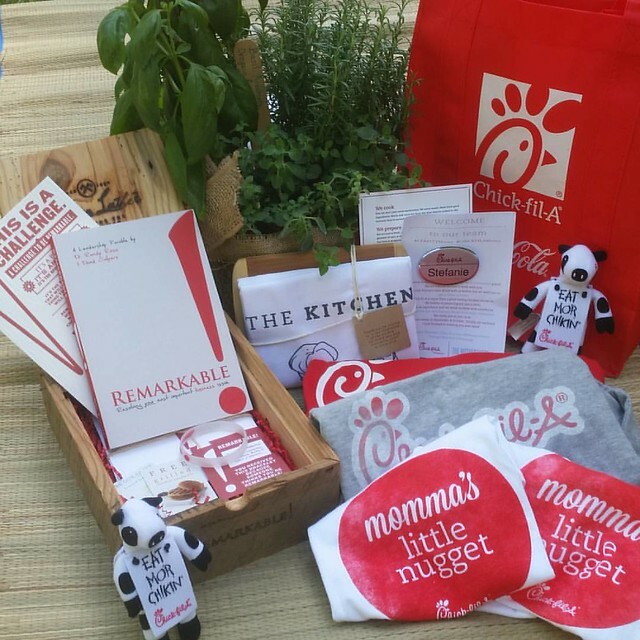 So much thought went into the #CFAPITTMoms welcome package that arrived in the mail. 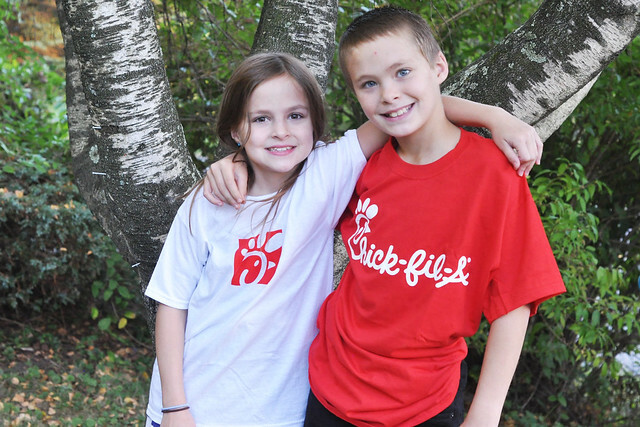 From shirts for our entire family to stuffed cows for the kids, Joslynn, the Chick-fil-A Area Marketing Director, thought of everything. There was even a Chick-fil-A name tag for me, which made my oldest son exclaim, "Mom! You got a job at Chick-fil-A?" I was already a fan of Chick-fil-A before I received the invitation. There are just so many things that make Chick-fil-A stand out from the fast food crowd, which makes it a great choice for my family! The atmosphere at Chick-fil-A is very warm and welcoming, and the service is truly exceptional. Every time I walk into the restaurant, I am happily greeted by at least two employees before I even make it up to the counter. My baby is immediately handed a container of cheerios, and the employees at the registers always make it a point to ask how my day is going and greet each of my children before they take my order. I speak from experience when I say that Chick-fil-A is the ONLY fast food restaurant that does that. I'm often on my own with my kids when we go to Chick-fil-A. Any parent who has multiple children knows that it's often a challenge to order food and get settled in at a table. Chick-fil-A does everything they possibly can to make it a positive experience for me. Not only do they carry our drinks to the table, but they also bring over a highchair and place the disposable stick-on placemats (that they provide!) on the table for me. That's such a big help for a mom who has her hands full! The service doesn't end there! Every 5-10 minutes, an employee stops by the table to see if I need a refill, napkins, utensils, or sauces. If I need anything, they immediately get it for me. Their customer service is unbeatable! Chick-fil-A is the only fast food restaurant that has healthier fast food. We don't eat at other fast food restaurants often. We only eat at the other restaurants for playdates or when they're chosen for a birthday dinner. I'm NOT a fan. I always leave with an upset stomach and always regret eating there. Chick-fil-A is different. 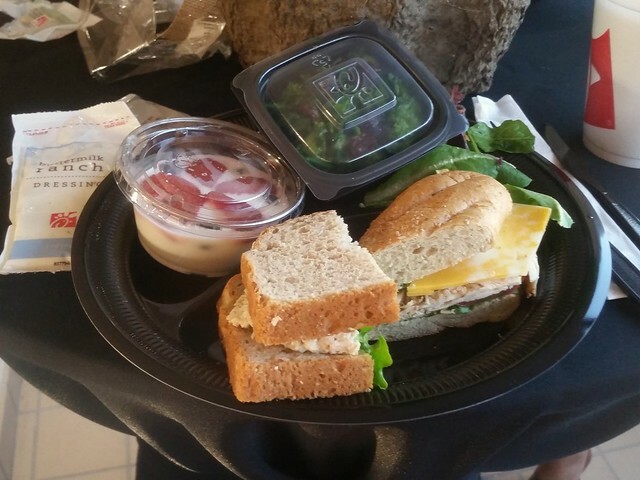 The food at Chick-fil-A tastes better and seems so much healthier. The chicken and fries aren't coated in that disgusting, stomach-turning oil that other fast food restaurants use, and there are so many healthy side options. When I'm at Chick-fil-A, I don't feel the least bit guilty about eating the food or feeding it to my children! I choose Chick-fil-A for the happy, clean, safe environment and the above and beyond service, but I also choose it because my kids like going there. They love the delicious food and they love to play in the enclosed indoor playground! I also choose Chick-fil-A based on an experience I had there. For those of you who are just getting to know our family, Liam has Down syndrome. 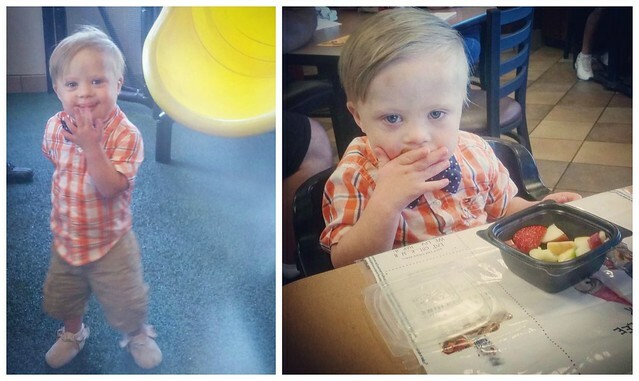 When Liam was about 6 months old, I went into our local Chick-fil-A. Liam was an extremely tiny 6 month old, who still resembled a newborn. At the time, I still felt awkward telling people that he had Down syndrome. When an employee asked how old he was, I took a deep breath and told her that he was 6 months old but was still very tiny because he had Down syndrome. I held my breath, anticipating her response. Instead of the awkward eye aversion or the dreaded I'm-so-sorry reply, she simply smiled, touched his cheek, and told me he was perfect. It was nearly impossible to hold back my tears. At that moment, I felt as if my family was welcome and accepted. THAT is why I choose Chick-fil-A. That is why it's one of our favorite places to go. 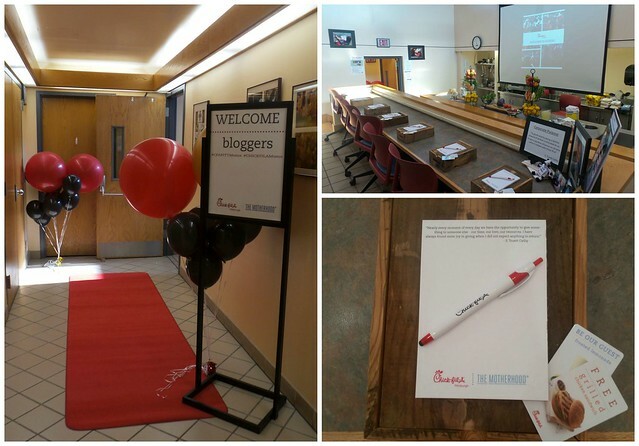 And that is why I was thrilled to be a part of the Chick-fil-A of Pittsburgh Mom Ambassador panel! 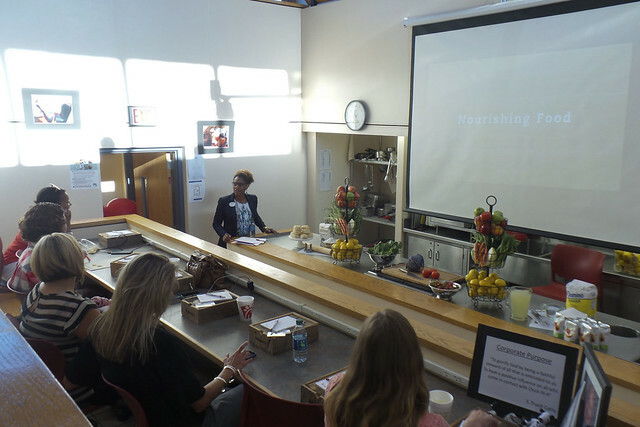 Last Wednesday I attended the Blogger Ambassador Kick Off at the Manchester Bidwell Culinary Amphitheater in Pittsburgh. I felt welcome the moment I walked in! To be honest, I wasn't entirely sure what to expect. I expected a room full of bloggers, but instead the panel of bloggers was very small and the room was filled with the local Chick-fil-A franchise operators. 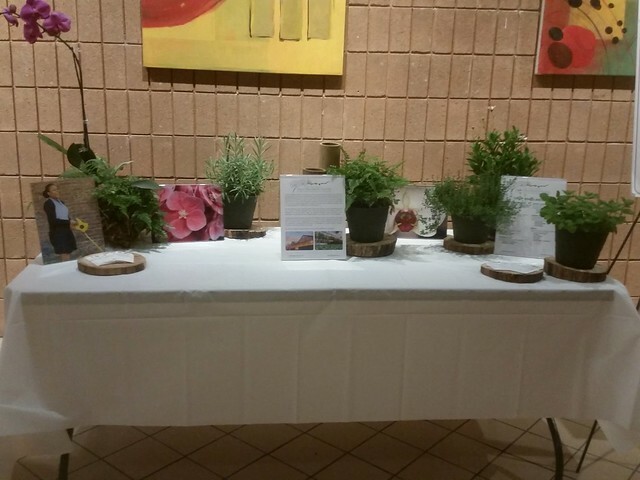 Everyone was so nice and the room was set up so beautifully. I couldn't wait for it to begin! At the beginning of the event, we all had the chance to stand up and introduce ourselves. One thing was evident: the majority of us had big families! Prior to introductions, I met the franchise operator of my local Chick-fil-A and we chatted a bit. During introductions, we discovered we had a connection. We both have sons with Down syndrome! As I mentioned earlier, I was already a Chick-fil-A fan, but what I heard during the presentation made me respect the company so much more. Chick-fil-A really is the better (for you) fast food! 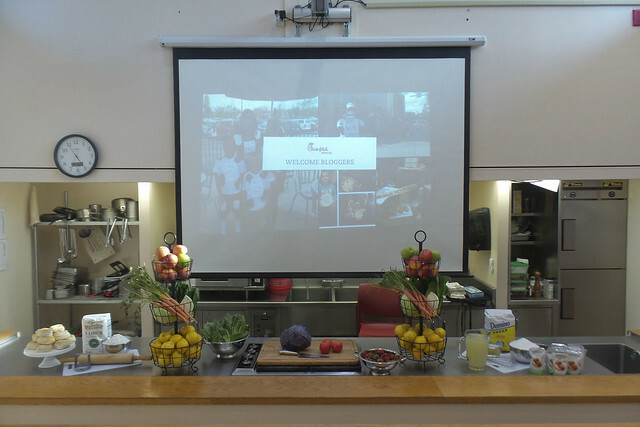 They only use natural, sustainable ingredients that are fresh and healthy when preparing their food. Their chicken is hand-breaded or grilled. The food is also craveable. They tend to offer classics with current flavor trends to please the customers. As a mom, I love the options for their Kid's Meals. The choices are chicken strips, chicken nuggets, or grilled chicken nuggets. For the side, you can choose waffle fries (which aren't greasy at all! ), a delicious fruit cup, or a Buddy Fruits Pouch. All four of my kids are able to build a Kid's Meal that they love! So much work goes into introducing new foods into the restaurants. 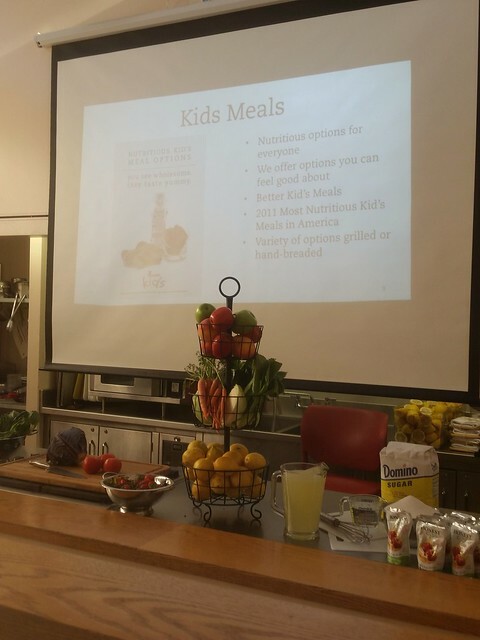 A dedicated team, which includes a Dietitian, a Chef, and a Culinary Scientist, works hard during the 5 step process (Understand, Imagine, Prototype, Validate, and Launch) to perfect the product. Some products were in testing for 5-10 years before launching! Chick-fil-A is continuously working to pursue "cleaner" ingredient statements, offer Diet Specialty Items (such as a Gluten Free Bun option), and offer more organic ingredients. Although Chick-fil-A already has so many delicious items on their menu, there's still more to come! All of these items are subject to change, but hopefully you'll be seeing the Frosted Coffee, Spicy Southwest Chicken Salad, Cranberry Lime Lemonade, Frosted Cranberry Lime Lemonade, and the Egg White Grilled Breakfast Sandwich within the next year! After all that discussion of food, I was hungry! Thankfully, Chick-fil-A spoiled us with a delicious dinner! The company was great, too. 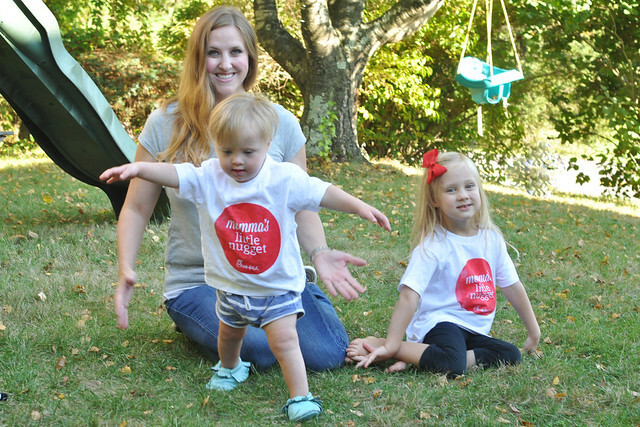 I had the chance to meet some wonderful local bloggers, including an Instagram favorite, and chat with some other crazy parents (AKA those of us crazy enough to have 4+ kids)! 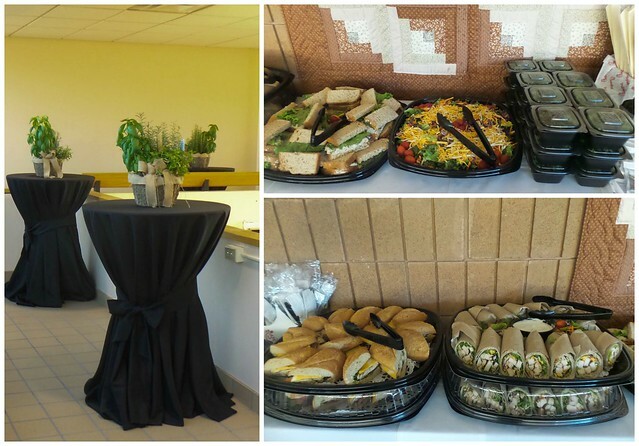 We shared some parenting stories and enjoyed the delicious food, including a new item that was flown in for the event. I can't wait until it's on the Chick-fil-A menu! 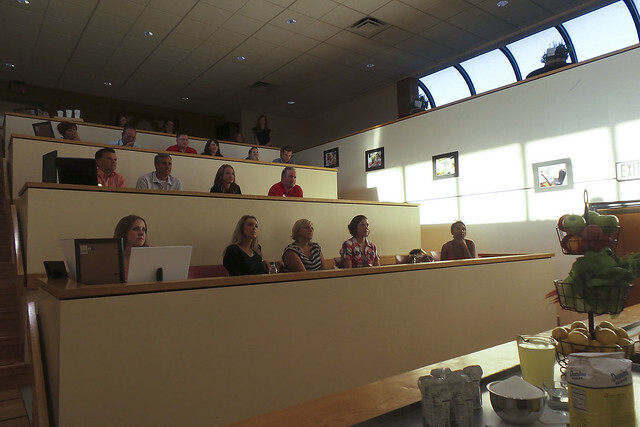 After we ate, the presentation came to an end, and we got to tour the Manchester Bidwell Training Center. 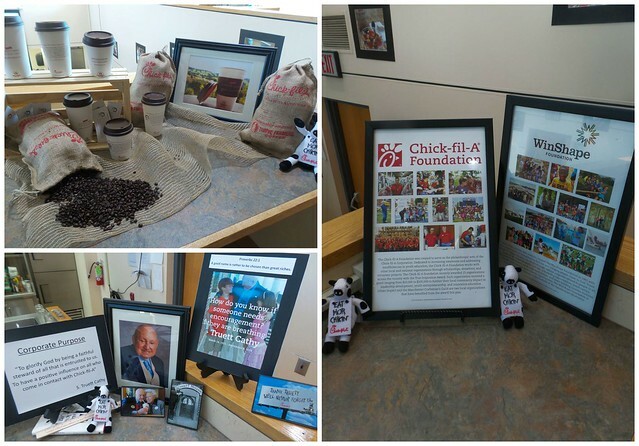 Manchester Bidwell was just awarded the True Inspiration Award from Chick-fil-A. It's an award that's given to an organization that is doing something remarkable. The Manchester Bidwell Training Center definitely seems like a remarkable place that is changing lives! It was an incredible evening! 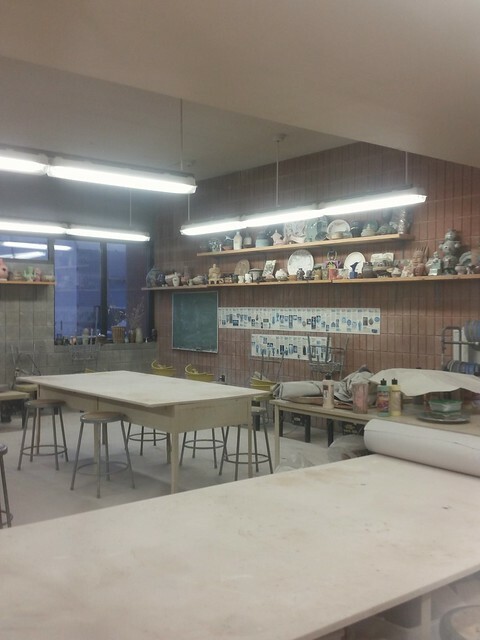 I learned so much and met so many wonderful people. I felt welcome from the moment I walked in the door until the moment I left with a bag full of goodies. It was an evening that started with handshakes and ended with hugs. Chick-fil-A excels at giving families the chance to have fun in a positive, safe environment. They aim to be remarkable, and they truly are! It's why my family goes back again and again. "We are more than a restaurant. We're a home." Thank you for being our home away from home. 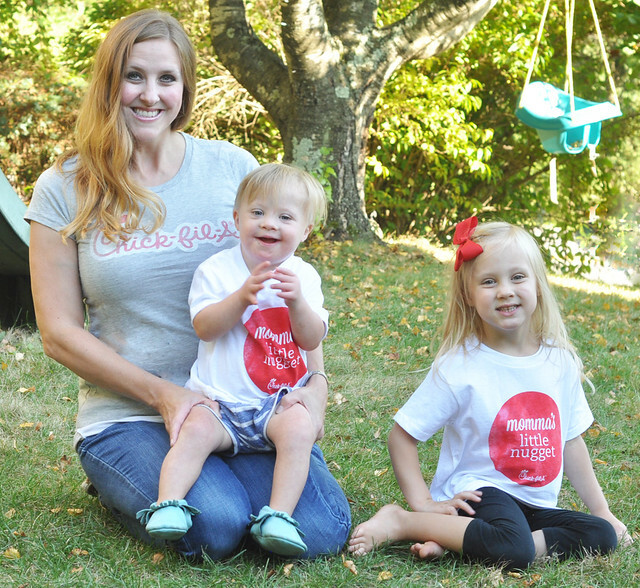 I am honored to be one of the #CHICKFILAMoms! 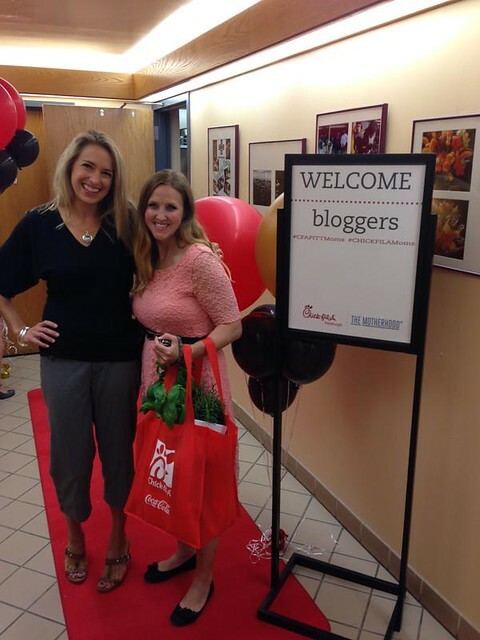 Thank you, Chick-fil-A and The Motherhood, for this AMAZING opportunity! I want to know: What's your favorite item on the menu at Chick-fil-A? *I was compensated for writing this post, but all opinions are my own. Thank you, Chick-fil-A, for sponsoring this post. Such a fun evening! We are huge fans of Chick-Fil-A!! It was great to meet you! Mmm, Chicken Sandwich and Lemonade for me! (that's my standard order) I don’t eat there often because the closest one is about 30ish miles away, but I do like their food, and they are exceptionally friendly. And the friendliness seems genuine, KWIM? I definitely agree about their friendliness! And the lemonade is SO good! We ADORE Chick-Fil-A... I absolutely love that they updated their Grilled Chicken Sandwich a few months ago... it is so delicious and so good to know that I'm not putting a bunch of junk in body when I have one. Plus, everyone is always so kind there, and that alone makes it one of our favorite places. Okay, I have soooo much to say.... 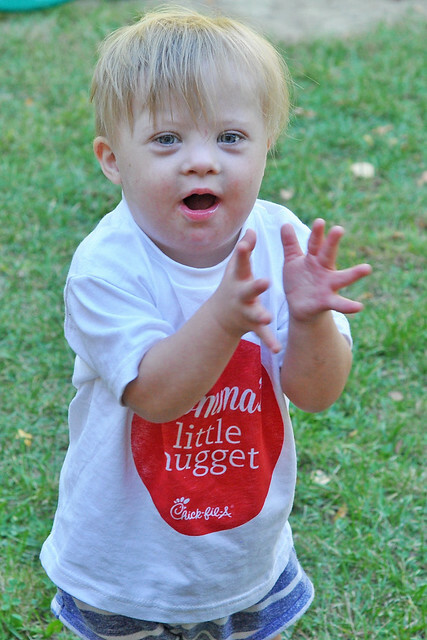 I loooove that "little nugget" shirt! It's seriously adorable. Also, I have a confession, I've only been to Chick-Fil-A once...maybe twice, but when we went it was great! The reason I've been so few times is because we don't have any in our area. In fact, I think we only have one in Michigan. So, could you tell them to open some more here in the Mitten?! LOL! Also, it looks like you had a great time and they really do seem to treat it like "home." What a wonderful company!!! That is AWESOME!!!! So, so, so jealous. Thank you! It's such an amazing opportunity!